Do you use email marketing at your company? Are you utilizing this fundamental way of bringing in more new leads and customers and keep existing clients? I see lots of smaller B2B companies not taking advantage of the marketing opportunities that new tools offer. Not applying marketing channels with high return on investment (ROI) can hurt your business. Email marketing the highest ROI of all marketing channels. If you don’t implement it for your business you’re going to experience problems with customer acquisition and retention. 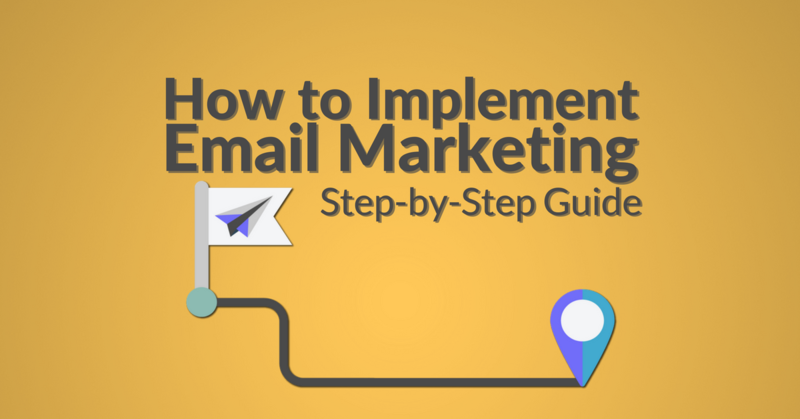 This step-by-step guide will help you learn how to implement email marketing for your B2B business. In addition to covering all the steps, I’ll include some additional links to resources to make your implementation process faster and smoother. Let’s dive in! Before you jump in to sign up for an email marketing tool like Automizy, start building your list, and sending emails you need to set your goals. Start with your general marketing KPIs and business goals and think about how you can align these with your email marketing activities. Email marketing is the most powerful channel to reach your audience. But without clear goals, you won’t get the desired results. So, when you’re starting out allocate time to figure out a strategy. GF Advertising – They use automated follow-up sequences to send campaigns to their clients and subscribers based on interest. Rendi – They connected Automizy with their platform using API. This API sends lead and customer data to Automizy. They use this data to segment their contact database and send targeted bulk email campaigns. Applixure – They have a complex automation set up which is trigger by an API call that pulls in users from their app. Then the subscribers are segmented based on their language, so they can receive the onboarding email sequence in the correct language. Once you figured out your goals and came up with a strategy, it’s time to choose an email marketing platform that will help you accomplish these. The right platform with a solid strategy behind it can save your business time, money and increase your sales. Does it have an easy-to-use drag and drop email editor? How can I import and export my contact database? Does the company offer a free migration service? What kind of analytics and reporting does it have? Can I create opt-in forms? And can I easily integrate my existing ones? Can I create email automations easily? Does it integrate with other software, for example landing page builders? Can I run split tests? Does it have a free trial? Is their support quick and effective? These are the things you should pay attention to. If you’d like to dive deeper into the subject here’s a piece on how to choose the right email marketing platform for your B2B company. So you have a strategy and you choose a platform. Now it’s time to build your email list. Before that, let’s get on thing straight. Avoid buying email lists! It’s a bad idea nearly 100% of the time. The lists you can purchase are usually poor quality. They’ll contain old and fake email addresses. And even if you hit the inbox of some people your emails will be totally out of context. They’ve never heard of you and probably aren’t interested in your services. So, they’ll unsubscribe or even worse they’ll mark your emails as spam. Okay, so I told how not to acquire email addresses. Let’s move on to how you should do it. The first thing you’ll need is to have a good understanding of your audience. I recommend creating buyer personas, these are made-up people who represent your ideal customers. This will help you in figure out where you can reach them, without knowing this you’ll have a hard time collecting email addresses. Email is an online channel, but you can build your list both online and offline. There are more than 3.7 billion email users worldwide, and chances are that a lot of these are not avid internet users. So depending on your business and personas you can determine the path you’ll choose to build your list. When a person visits your website they show some interest in your product or services. By putting up sign up forms to your newsletter and lead magnets you can add engaged people to your email list. The same goes for your blog. Chances are that the people reading your articles are interested in the topics you cover. If they like your content a good percentage of them will subscribe to your newsletter. Take it one step further. Create some eBooks, checklist, cheat sheets, templates or videos about the topics you cover on your blog. These will be your lead magnets or content upgrades. This type of content should provide additional value in an actionable form. Build landing pages where people can sign up to receive your lead magnets. Put CTAs (call-to-action) in your blog articles, so people who’d like to learn more about a specific can access these. An email course is the best type of lead magnets for growing an email list. For one, it attracts the right traffic and the subscribers will be expecting your emails. It makes lead nurturing and qualification easier. Plus, it’s easy to launch to one. If you’d like to start one, check out this guide on how to create a free email course. Behavior-based pop-ups and slide-ins work great for growing your list. If you set them up correctly you can increase the number of your subscribers by a lot. One thing to consider when you’re setting them up is context. For example, set up a slide-in when someone is halfway through your article. Or even better if you set it up so that it slides in at the part of the piece where it’s the most relevant. Utilize your social following to grow your list. Put links to your landing pages in your profile descriptions. Take it one step further and think about which lead magnet fits best with a certain social platform, and use them together. Also, create posts or ads with links to your lead magnets. You can exchange list with companies. Make sure to do this with relevant companies, the audience must be a good fit. I recommend using the same sender name they usually use for their newsletter. 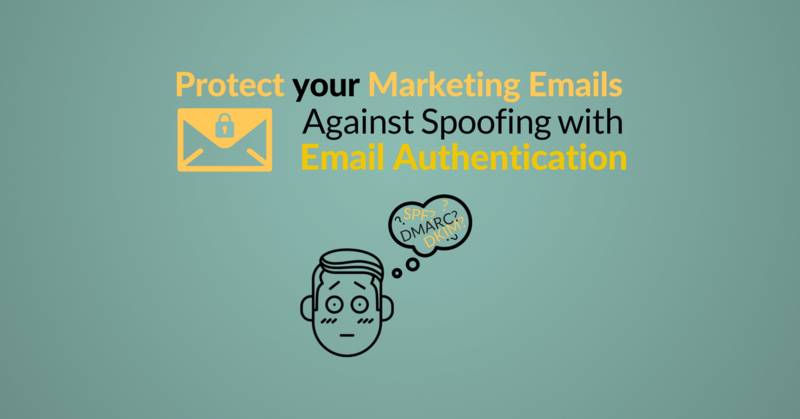 Otherwise, it can hurt your open rate, since most people will have no idea about who sent that email. In the subject line or preview text, you can mention that this is not just a regular newsletter. Some new content with a fresh perspective can be intriguing for the subscribers. Or offer to share their content on your social channels and newsletter and ask them to put a link in their newsletter to your landing page. Nowadays giving out your email address is a bigger deal than it used to be. You have to offer some value to make people opt-in. Creating an online community is a great way to show people what you can bring to the table and it’s a smaller commitment. Today people will rather join a Facebook or a Slack community then give you their email. By engaging with the content of others in your industry you can establish yourself as a leader in your field. And, that can help you grow your list. If it’s applicable, link to a relevant blog post or mention your company. Don’t be spammy and don’t forget to include a link to your blog or landing pages where people can opt-in. With email only offers you can provide a great incentive for people to give you their email. In addition to the great offers, it gives the subscribers a sense of exclusivity. If you already have some engaged subscribers on your list asking them to refer their friends or colleagues is an easy way give your list an extra boost. Offline networking is a great way to build relationships that’ll help you in growing your business. If you’re hosting an event as people to RSVP with their email address. 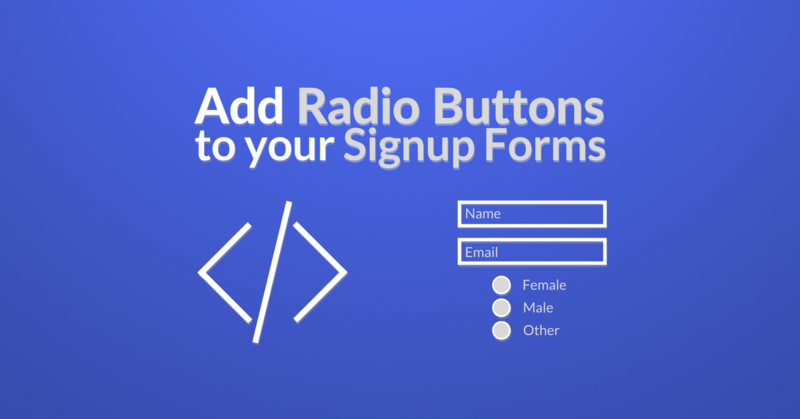 You can even go fully old-school and print some sign-up sheets where people can give you their email. However, I don’t recommend using this because it requires too much manual work and it can go wrong in many ways. There’ll be some typos when people fill in the sheet and when you import the contacts into your database. If you have the physical address of some people, but no email address, send them a direct mail offer they can only get by opting in on your blog or a specific landing page. Look for and join relevant business networking groups. Then ask around if there’s a way you can include a link to your opt-ins in their newsletters. Print is not dead! I know poor trees. 🙁 If you’re using print ads, leverage them to grow your list by adding a QR code or a short URL that’s easy to type and memorize. You can do this with invoices, too. With a viral marketing tool like UpViral or ViralLoops, you can run viral giveaways, contests, and sweepstakes. These campaigns can skyrocket your email list growth. When you’re networking during trade shows, conferences and workshops collect business cards. After the event, send an email with a signup confirmation, you can even link to a dedicated landing page, where they can opt-in. This is important because people don’t give you their business so you can add them to your marketing list. So I recommend getting permission first. Run paid advertising campaigns on your lead magnets and your best blog posts. If you advertise lead magnets direct the traffic to a landing page and optimize the campaign for conversions. For blog posts direct traffic to it with a pay-per-click campaign and optimize the blog post with CTAs to lead magnets or content upgrades. This list should give an idea about where you should focus on based on your personas, business model, and resources. Having trouble growing your list? Learn the Secret to Generate Leads for your company more effectively! This where all that brainstorming in Step 1 really pays off. The goals you’ve set will determine what type of campaigns you’ll run. There are hundreds of types of marketing emails you can send, but now we’ll focus on the two main groups: bulk emails and automations. Newsletters and marketing offers are the most common examples of bulk email campaigns. But for certain businesses using lead magnets are enough without a weekly or monthly newsletter. Will you send newsletters, announcements, marketing offers, customer and brand stories, event invitations? None of them all? All of them? You decide! Don’t forget your goals. How often will you send emails? Weekly, Monthly, Quarterly? The sending frequency depends on the purpose of the certain campaign. While it might be a good idea to send a weekly newsletter, blasting emails with a discount coupon every week might not be a good idea. Weekly emails are great because they are regular enough that subscribers don’t forget about you and you don’t overwhelm them. If you produce enough content to send a valuable email every week, go for it! Monthly emails work well for marketing offers and newsletters, too. But it’s better to have some other campaigns along with it. Otherwise you subscribers might forget about your and your emails will get lost in the inbox Bermuda triangle. According to the Epsilon Email Institute, automated email messages average 70.5% higher open rates and 152% higher click-through rates than “business as usual” marketing messages. Someone opted in to receive your newsletter. You converted a blog visitor to a subscriber. That means they are really interested in your content. But over time that interest will start to fade, so you have to build on this initial momentum. Did you know that approximately 75% of users expect a welcome email after signing up? In addition, 90% of users go cold after 1 hour. Don’t spread the emails in your welcome automation too far apart. This lets you keep your subscribers’ engagement and interest up for a longer period of time. According to our internal data, new subscribers are the most active and engaged in first 6 months. After this period you must work harder to re-activate them. You and your subscribers can learn about each other. It builds momentum and drives new readers to your old content. It takes the relation further. I’d recommend using about 3-5 emails in a welcome automation. First send a welcome email, where you introduce yourself or your company. It’s also a good idea to ask a relevant question in the first 2 emails. This a great way to gather valuable feedback about your content and product, which you can use to refine your strategy. In the following emails share some of your most popular blog articles and in the final emails, you can even add a CTA to your most relevant lead magnet. Create an automation for each of your lead magnets, where you share additional resources around the topics covered in them. The first email in the automation must contain the download link to the lead magnet, and I recommend a brief introduction to your brand. In the following emails share some additional resources on the same topic as the lead magnet. These can be blog posts, whitepapers, podcasts and so on. This is the actual automation we use for following up with prospects who downloaded the Ultimate Lead Generation Cheat Sheet. Source: Automizy lead magnet follow-up automation. Build this yourself! We’ve talked a bit about email courses already and I said it’s easy to launch one. And it is, especially if you have an ebook or a really long blog post. You can just divide it into 5-7 parts and you have most of the content already. This is the actual automation of our email course called Triple the Value of Your Email List. Source: Automizy email course automation. Build this yourself! Start out with a welcome email containing an outline of the course and the first lesson. Then, depending on the number of emails in your course set up the automation so that an email is sent out daily or at least one in every two days. As far as setting it all up, all you have to do is create email sending actions for every email in the automation and waiting periods in-between them. Source: Automizy upsell automation. Build this yourself! Just because some have already purchased you shouldn’t stop the communication. Especially if you sell different products and/or services. Use cross- and upsell automations to increase the business value of your existing customers. Take a look at what they’ve purchased, and tailor your offers based on that. However, I don’t recommend blasting a new customer with other offers immediately after a purchase. After someone made a purchase I urge you not to send him promotional offers for weeks maybe even months. Of course, this depends on your industry and especially on the length of your sales cycle. In the emails, you should mention the person’s previous purchase and describe the clear benefit of the new product/service you recommend. If you have other related products you can include those in the upcoming emails. In the final emails, I’d suggest offering a discount as a final push to make a purchase. Let’s say you generated some leads during an event. Of course, you’d like to convert these leads into paying customers. The best way to do that is with a lead nurturing automation. First, import the contacts you’ve collected during the event. Create an automation with some follow up emails. In the first email, thank them for coming to the event and subscribing and recap what happened at the event. Also, write a short summary of the following emails, so they’ll know what to expect. Learn how to get more out of your email list with the tips and trick in this FREE email course! You’ve set your goals, chosen a platform, built your list and decided what type of campaigns you’ll send. Now it’s time to think about content. This is where creating and researching your buyer personas pays off once more. Take a look at the personas. What words, expressions they use? How do they like to be greeted? Do they prefer a formal or an informal tone? Basically, you need to know how they communicate. This will help you in writing your copy. Tailor your messages with this information in mind and when your subscribers open your emails they’ll feel the connection immediately. I know writing can be scary if you’re not experienced. Don’t be, if you’ve done your persona research you’ll do great! A subject line can make or break a whole email campaign. So you’ll have to nail it! Your subject line must grab the attention of your audience. However, stay away from overhyped, clickbaity subject lines. You’ll have to make sure to deliver on what your subject line promises, otherwise, it’ll lead to frustrated subscribers, broken trust, and unsubscribers. Also, avoid capitalizing long phrases or the entire subject line. The from name has a huge effect on your open rates, so tread lightly. As a company, I’d avoid using just the name of the person. That’s only a good idea if someone in your company has a really strong personal brand and all of your subscribers know him or her. My advice is using a first name and the company name, like Gabor from Automizy. As for the body copy, write it as though you’re addressing just one person. Avoid using phrases like “Hello team”, “Hey all” and “you guys”. Make your readers feel more special by making it seem like you’re writing just for them. Words are the heart of every email. But you don’t want to overwhelm your subscribers with a sea of text. Also, you risk landing in the spam folder by using too much of it. The best way is to use text blocks and link to articles or landing pages. You can find some great tips in this guide on how to write sales copy. Email design heavily depends on your industry and brand. However, there are certain best practices you should follow to make your emails look great under any circumstances. The optimal width for emails is between 500 and 650 pixels. The layout of your email should be well-spaced, with distinguished sections. Use blocks, padding, spacers, and dividers to create a clean and visually pleasing email layout. Be careful with images, most email clients don’t load them by default. Don’t rely on pictures alone to get your point across. Always include title, alt text and fallback color to make sure something appears to the subscribers who have image loading off. I don’t recommend using background images layered with text. Many of the popular email clients don’t support it. The ideal font size of the body copy is around 12-14 pixels and the title should be at least 22 pixels. These sizes provide proper readability on mobile devices. Use bold and italic typefaces to highlight the most important words and phrases of your copy. Make sure your CTAs are straightforward, engaging and have enough contrast with the rest of your email. Make your links pop! You don’t include links in your email just for the sake of it. You put it in there because you want people to click on it. So make your links stand out, by coloring, underlining, or using bold or italic. Text links are OK, but buttons are even better. Use text links for lower priority links and buttons for links with a high priority. Always make sure your emails responsive! About 53% of emails are opened on mobile devices. So, you have to be sure that your emails look great on desktop and mobile devices, too. Take a screenshot of your video. This is what you’ll use as a thumbnail. Put a play button in the center, so it looks like it’s an embedded video. Add this image to your email. Link the image to the video. If you’re planning on using an HTML heavy email I’d advise you to provide an easily readable, structured plain text alternative. Sending emails with typos, grammatical or design errors will certainly make you look unprofessional in the eyes of your subscribers. That’s why testing your emails is a crucial part of email marketing. Email testing is a process that consists of multiple phases. Once you’re done with writing your emails, read them a couple times to make sure there aren’t any errors in it. I also recommend sending it to couple colleagues and tell them to proofread it. Sometimes when you’re working on a piece of copy for a long time you might scan through mistakes because of fatigue. After you’re done with the proofreading and you created the email send a test email to your own email address and make sure everything looks the way it should. Check your subject line, from name and preview text. Then open the email and see if everything’s all right inside, too. Click on all the links to ensure that they work and they point to where you’d like them to. The final phase is to send your email to a test list to assure that it looks great on different email clients and different devices. For this, you’ll need to create a test list. If you have multiple email addresses and use more than one email client add these emails to the list. Include your colleagues, too. Send the email to this test list. Then open the email with different clients on different devices. Once again, check if everything’s the way it should. Until you don’t have a list of at least 2000 email addresses I don’t recommend using split testing as you won’t get statistically significant results. But if you have a 2000 people or more, split testing subject lines is a great way to increase the open rates of your emails. The first step to split test subject lines is writing at least 2 variations of the same subject line. After that, take a part of your list, that you’ll use as a sample to run the test. This sample list should contain at least 1000 subscribers. Let’s say you have 2000 people on your email list and you’re running the test on 1000 subscribers. Then, divide this sample into 2 equal parts. 500 people will get the email with the first subject line variation, and the other 500 will receive the email with the second subject line variation. Once this is done and at least 10 hours have passed check your stats and see which variation got the higher open rate. Then send the email with that subject line to the rest of your list, which is the 1000 people who weren’t part of the test. I know this sounds a bit technical and inconvenient, but with the right tool, you can do this quickly and easily. After all this writing, designing and testing it’s time to send! You can send immediately after you’re done creating and testing the email. Or you can schedule your emails to be sent at a specific time. I recommend scheduling because that way your audience will know when to expect emails from you and that’ll increase your open rates. We’re going to come out with a solution called send time personalization. You’ll be able to send emails when your subscribers are actually in their inbox. Automations work differently, and there you don’t have these options. Because automations are triggered when a subscriber submits a form or gets a tag for example. So people aren’t getting the emails in your automations at the same time. The time they get your automated emails depends on the time when they submitted a form or got the tag that triggered the automation and the waiting period you put in your automation. To make it more clear let me give you an example. Peter opted in on your lead magnet landing page at 13:15 on Feb 12 while Sarah signed up at 15:05 on Feb 20. That’s the time they entered your lead magnet follow up automation. If you didn’t put waiting period in between the trigger and the first email both of them will receive it immediately after they signed up. But there’s a 2 day waiting period between the first and second and a 3 day waiting period between the second and third email. That means Peter will get the second email at 13:15 on Feb 14 and the third email at 13:15 on Feb 17. And Sarah will get the second email at 15:05 on Feb 22 and the third email at 15:05 on Feb 25. So you see that bulk emails and automations work differently in terms of timing, too. If you followed the steps you should have some rock solid emails ready to go. If you’re still hesitant about your emails after all this, don’t be. Send it out, then you can have a look at your stats and tweak them. Without the right data, you can’t make an informed decision. That’s why you’ll have to check your stats at regular times. The most important email marketing KPIs are open, click-through and unsubscribe rates. You should always monitor these bulk and automated emails, too. You should be able to see these in your email marketing platform at a glance. If you can’t, think about switching! You should monitor these for automated emails, too. However, there are some advanced KPIs for automations you should keep an eye on if you’d like to get the most of them. Since in your emails you link out to sites like your blog and landing pages you need to check your web analytics platform like Google Analytics, Piwik, Mint, or KissMetrics to see how your campaigns perform on a deeper level. It’s one thing to track if someone clicked on a link. You should monitor how the people you direct from your emails to your pages behave there. How much time do they spend on site? What pages do they visit? Do they perform the actions you’d like to? Keep a close eye on the conversion rates of the forms on your website and blog. Plus the conversion rates of your landing pages. For this, you’ll need to isolate visits from email in your web analytics tool. To set up email tracking you’ll have to tag your email with tracking codes. You can find out how to do it in Google Analytics in this piece. Find out works and do more of it. On the flipside, see what doesn’t and work on improving it. Even with the expansion of automation in email marketing, it’s not a “set it and forget it”. You have to check back regularly to send out bulk emails, create new automations, monitor your stats and refine your campaigns. Save this guide and when your preparing for campaign go through it once again. Make sure you’re always on top of your game by revising the steps from 3-9. If you don’t have a content schedule you can fall into the trap of inconsistency. Your subscribers don’t know when to expect emails from you, so they’ll end up losing interest. Sending too frequently without a real reason. Avoid spamming your subscribers at all cost. So, ask yourself this before hitting send: Does this email bring value to the recipients? It’s one thing to send emails, but as I mentioned you cannot make an informed decision without data. So, avoid overlooking key metrics, otherwise, your campaigns will be inefficient. Even if you send emails on a regular schedule if you use a subpar email marketing platform, templates and designs your campaigns won’t bring the desired results. Email marketing is a really powerful tool to boost your sales and revenue, so you should definitely take advantage of what it has to offer. At Automizy, we make it easy for you to get started with email marketing automation. Our goal is to help you maximize the conversions from your email subscribers. If you don’t have an Automizy account yet, you can register right now for free. Looking for a platform to start your email marketing journey? Give Automizy a try, it’s on us!